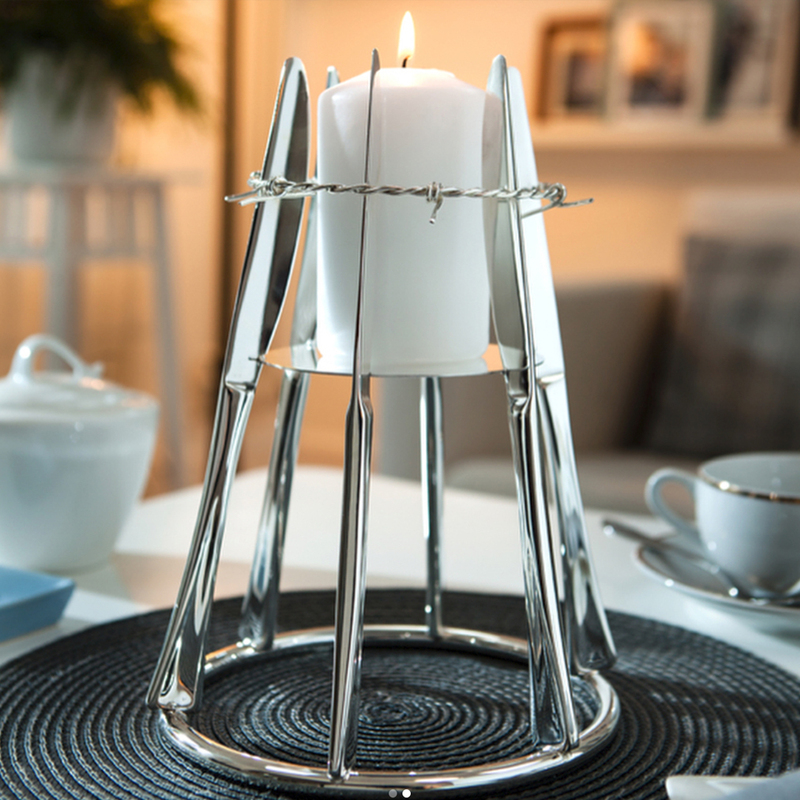 We’re very pleased to announce our collaboration with the National Memorial Arboretum to bring you a series of limited-edition silver-plated candlesticks. There are 12 candlestick designs in total, each crafted from the finest Arthur Price cutlery. These striking designs serve as a reminder that people still starve because of war and imprisonment; each comprises a set of knives in a circular formation, bound by barbed wire. Each design is named after one of the apostles, and is modelled on the pair of altar candlesticks located in the arboretum’s Millennium Chapel. We are incredibly proud to have had the opportunity to create these limited-edition designs for this wonderful and moving centre of remembrance. The collaboration was suggested by our CEO, Simon Price. Simon’s father and grandfather both served in the army, and during both world wars the Arthur Price factory ceased cutlery production and manufactured munitions to support the war effort. The limited-edition candlesticks are available for sale in the arboretum gift shop for £395. For information on visiting the National Memorial Arboretum, click here.